Observance of the following rules and the terms & conditions relating to fees, entry and withdrawal is implicit in the acceptance of a place in the school. The school reserves the right to refuse entry to classes if these rules are not complied with. All fees must be paid on or before the first class of term. Fees are non-returnable and will not be remitted for absence. A £5 administration fee will be added to all accounts if it is necessary for the school to send a reminder regarding the payment of fees. An administration charge of £10.00 will be levied on any cheques that are returned to the school by the bank as unpaid – and this must be added to the overall amount due! At least one full working terms notice (9 full working weeks) of the intention to remove a student from any classes is required. Holiday breaks are not included in this period. Please note, parents must include a Stamp Addressed Envelope with their letter of notice. The School will then send a letter acknowledging the notice through the post. Notice must be received in writing on the very first day if not before of the final term or a full terms fees must be paid in lieu. Notice will not be accepted once the term has commenced. Verbal notice to a teacher will not, under any circumstances, be accepted. If absent then the letter of notice must be posted allowing sufficient time for the school to be in receipt of the said letter by the very first day of term (not the first lesson of term which may well be at the end of the working week). Please note that if you continue to bring your child/attend yourself then any notice is void and will need to be submitted again at the relevant time; the very first day of the final intended term. We do not operate a continuous terms notice facility. The full and correct uniform must be worn at all classes and rehearsals. Hair must be either worn in a bun or a crown for all classes excluding baby and pre-primary classes. Ponytails, pigtails, plaits or loose hair is not allowed and pupils may be refused entry to class if hair is not correctly styled and the correct uniform is not worn. The only sweatshirts permitted are the regulation school uniform. Jewellery must not be worn during classes, and, for security reasons, we recommend it is not bought into the school. Dance shoes must not be worn outside. 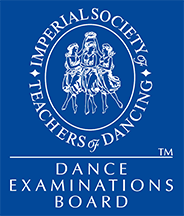 Examinations are not compulsory, but if the parents of pupils wish examinations to be taken for those who do not already attend two ballet classes per week, it is essential that for the term leading up to any examination two lessons are attended each week. These will be charged at the second lesson per week rate. Pupils should not take part in any hazardous activities, such as Hockey, horse riding or gymnastic classes at school, in the lead up to examinations. The preparation for the examination should be paramount and refunds may well not be available if such an activity has taken place in the immediate weeks before an examination. Examination Fees include payment to cover pianist and examiner hospitality. These are absolutely not allowed anywhere on the premises at any time. Anyone found with either will be asked to leave. The school prides itself on its discipline. If you have any problems with your child being disciplined during their time with us, it is essential that you bring this to our notice immediately as it may have implications in the acceptance of a place in the school. It is essential that any illness or injury be reported to the school immediately. Students must request their family and friends not to telephone them at the school as students may not use the telephone and no messages can be taken. Indeed, due to class disruption, no incoming calls will be accepted by the school. Mobile telephones must be switched off during classes! In the event of an accident or extreme illness and parents cannot be contacted, we are in loco parentis and we will call an ambulance unless we have received specific advice to the contrary from parents. No valuables to be left in the dressing room as the school will not accept responsibility for any losses incurred on the premises. Students should not arrive at the studio earlier than 15 minutes before their class and will then be expected to behave impeccably whilst waiting. Food and sticky type drinks are not permitted in the dressing room or the studio. Students must wait for parents in the dressing room. They are not allowed to wait in the porch or on the pavement. May we also point out, that, owing to limited space, parents cannot be accommodated in the dressing room, and, regretfully, we must insist that no gentlemen are in the dressing room at any time. Parents are not permitted to watch classes. However, there are three opportunities per year to view the children’s progress in the week before the School breaks up for Easter, Summer and Christmas. Children will be entered for examinations at the discretion of the Principal. In the event of bad weather, the School will do everything possible to ensure that classes are not disrupted. However, if deemed too dangerous and classes do have to be cancelled, fees will not be refunded, but pupils may take an extra lesson at an alternative branch to replace the cancelled class. The school reserves the right to change timetables, staff, and also parent viewing days if deemed absolutely necessary.